Run don't walk for Stampede Cowboy Boots, loaded with famed Justin® quality, classic cowboy looks, and BIG comfort thanks to Justin®'s J-Flex Comfort System®... these western boots feel like your broken-in favorites right out of the box! Each 11"h., approx. 31 ozs. 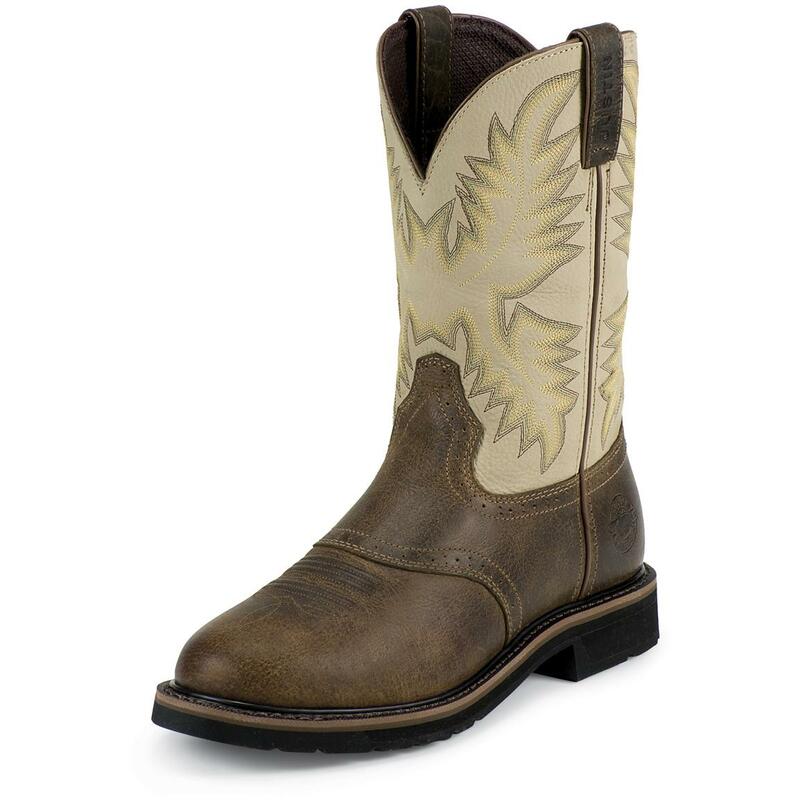 Justin Mens 11 Stampede Western Boots, Waxy Brown is rated 5.0 out of 5 by 2. Rated 5 out of 5 by JM0326 from Great Quality for Great Price Arrived fast. The price was great, especially for the quality of the boots. They broke in fast which was a plus because I needed to wear them for work immediately. Rated 5 out of 5 by daniel from what a pair! Justin quality- sportsman's guide price make a really great pair.